App for Mac. 35MB. Price includes all future updates. The Human Mind. Clearly Defined. 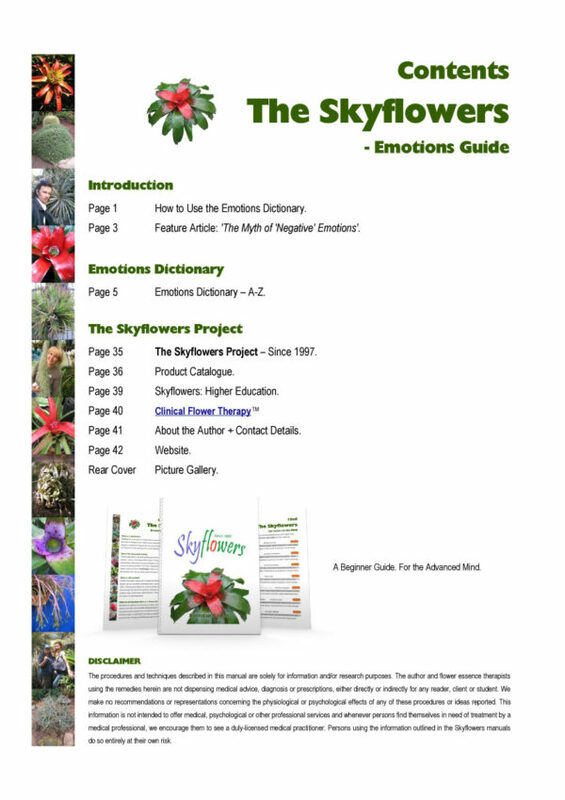 Welcome to Skyflowers: Emotions for Mac! This manual is the result of nearly 20 years of flower essence research, clinical practice and observation of the human mind. The definitions are short, sharp and raw and are designed to provide maximum clarity using a minimum of words. 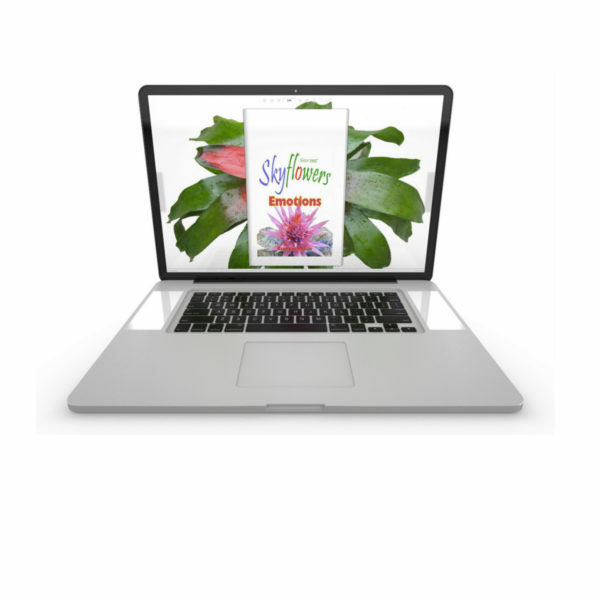 The definitions are designed for those who are interested in real self development, growth and maturity as a human being. 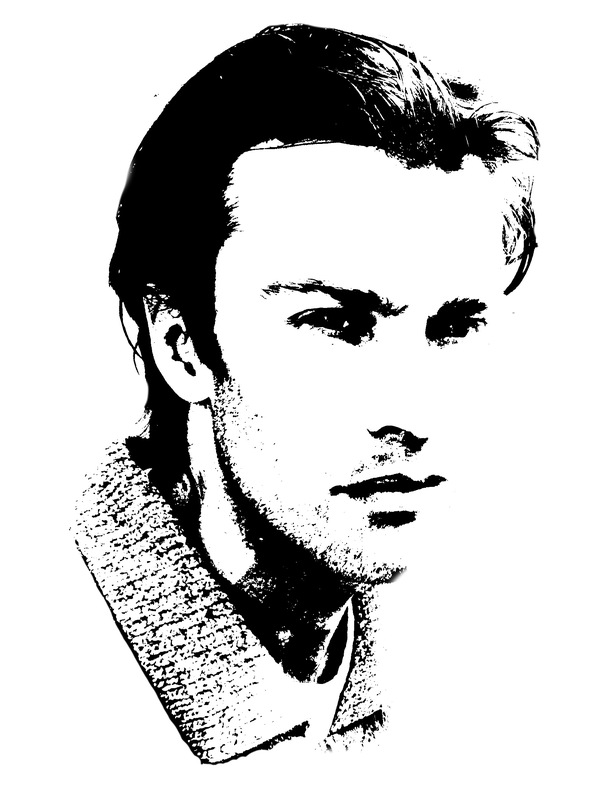 Simple, 3-line listings for more than 250 emotions, thought patterns and complex issues. Common emotions, clearly defined. Uncommon emotions, rarely described. Concise definitions that get to the heart of the matter. Specialised terminology that describes subtle issues. Warnings and special instructions for the health practitioner. Please Note: Print has been disabled. 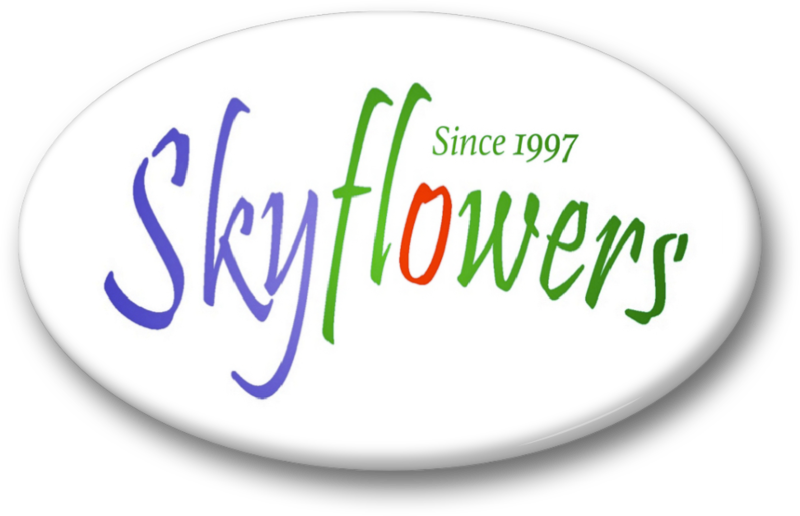 For a hard copy of the Skyflowers Emotions, please support The Skyflowers Project and buy one. Your support helps us to continue our research work. The dictionary contains a feature article plus 250 definitions. Here are 25 of my absolute favourites that were drawn from my own clinical case studies. 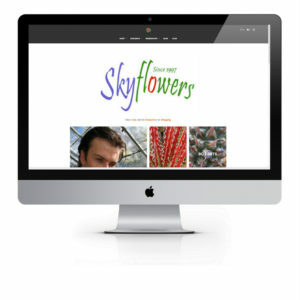 A great deal of thought has gone into the design of Skyflowers Emotions. This manual is not merely a ‘copy-n-paste’ of a dictionary or a thesaurus. It is an all-original work. The problem with other ‘copy-n-paste’ emotions dictionaries ( other than the ethical and copyright issues ) is that the definitions often do not get to the heart-of-the-matter. A standard dictionary offers clear definitions of standard things. Standard dictionaries fall short when it comes to the subject of human psychology and cannot deal with subtle subjects such as the mechanics of suppressed emotion, the design of thought patterns, karma, etc. A thesaurus is designed to deliver words that are similar to the key word but not an actual definition of it. A thesaurus fails to provide a clear description of how a thing works. Which is often crucial in clinical, ‘surgical’ work. These tools are useful in a school classroom or when doing a crossword puzzle. They are not designed for use in a professional health clinic when precision is called for! 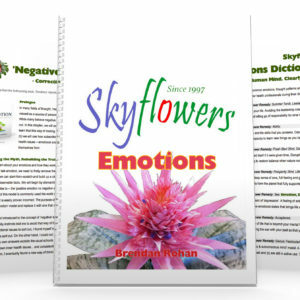 In just two lines of text, Skyflowers: Emotions (a) clearly defines each word or phrase and (b) provides a foundation for further exploring the topic in question. The manual is designed to trigger insight and pave the way for understanding the deeper design of the human mind. Pay close attention to each word as they have been painstakingly chosen, revised and refined to provide maximum clarity. All in the space of just two lines! This manual is a handy reference guide and scan chart list. Here are some features of the manual to help you get the most out of it. Common Terms have been clarified and sharply defined. This overcomes the confusion of over-used words like ‘anger’, ‘affirmation’ and ‘belief’ that have vague or nebulous meanings. Common & Rare Emotions. 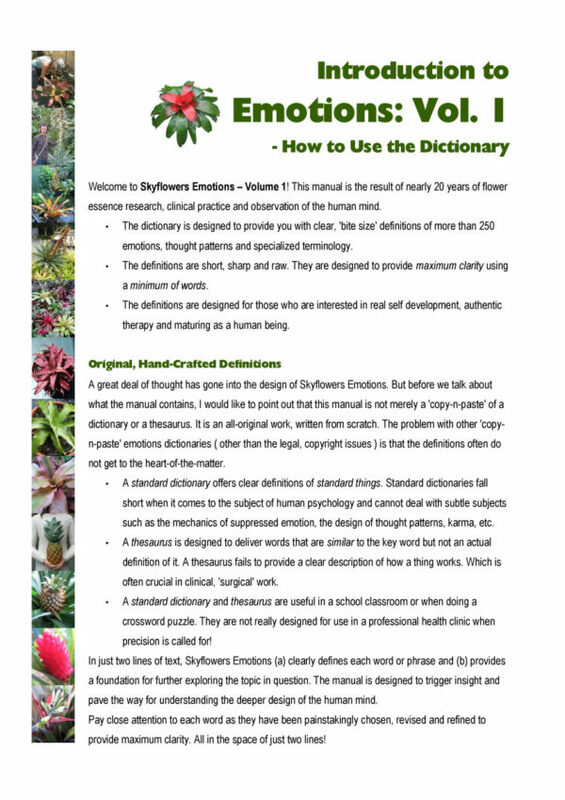 I have clearly (re)defined common emotions that have lost their meaning and you will find many emotions in this dictionary that you have never come across before. Have you ever heard of ‘Spiritual Materialism’, ‘Sum-of-all-Feelings’ or ‘Mental Flooding’? To name just a few. Thought Patterns and ‘complex mental states’. 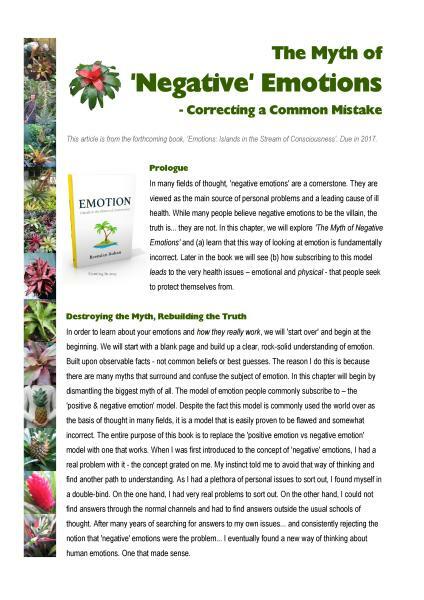 While emotions are viewed by many natural health practitioners as the cause of ’emotional issues’, thought patterns are the bigger issue as they contain multiple emotions that are triggered by thinking. 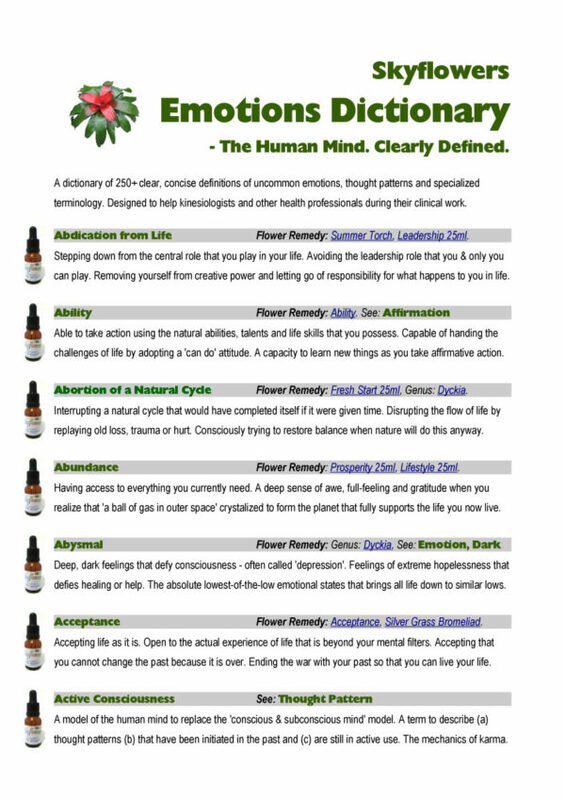 Natural Health Terminology and words that are commonly used in Energy Kinesiology, psychology and other therapies have been clarified so that the principle behind them can be better understood. Terms such as ‘Suppressed Emotion’, ‘Healing Crisis’ and ‘Affirmation’ have been added to provide education to common, cornerstone terms that are often misunderstood. Specialized Terminology and my own original vocabulary drawn from my own clinical observations and research of nature. Many of these terms run contrary to popular thought and spiritual, ‘new age’ beliefs. They point to a different understanding of who we are and what we are doing on this Earth. 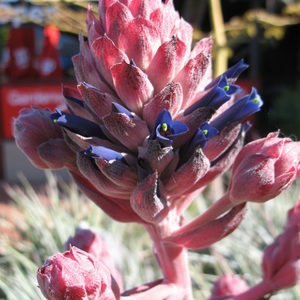 Related Flower Remedies. 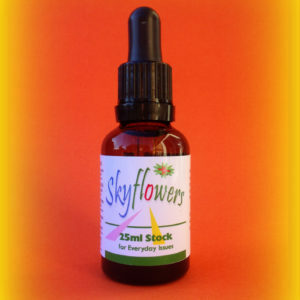 For those who use the Skyflowers, each entry helps you choose the right remedy or combination of remedies to match the emotion. Warnings and Special Messages for the Practitioner ( marked in red ) are for the practitioners eyes only. Sometimes the practitioner need special instructions about problematic clients. Terms such as ‘Alarm Bells’, “Referral Required’ and ‘Warning Signals’ have been added for the benefit of the practitioners personal safety as well as for the proper care of the client. 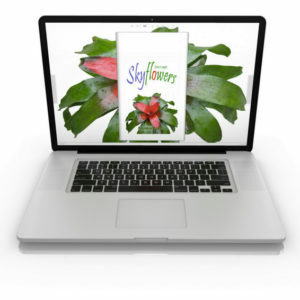 Learn Why the Skyflowers are ‘A World Above’.